The ninth in a series of articles about the priesthood and its purposes. Priesthood is the authority of God delegated to man to minister for the salvation of men. “The power of directing these labors constitutes the keys of the Priesthood.”6 We distinguish between holding the priesthood and holding keys of the priesthood. When an individual is given keys, he does not receive additional priesthood. What he has is the right to direct the work of the priesthood. To serve well as one who bears the holy priesthood, one needs both preparation and permission. May I relate a personal experience? Prior to my call to the Quorum of the Twelve Apostles, I served as a medical doctor and surgeon. I had earned two doctor’s degrees. I had been certified by two specialty boards. That long preparation had consumed many years, yet the education itself did not allow me to serve the public. Why? Because I needed legal permission. That could be granted only by authorities of the state government and directing boards of hospitals in which I desired to work. Once officials holding proper authority granted me a license and permission, then I could care for patients who needed surgical relief from their ailments. After legal administrators had exercised their keys, then I could render the service for which I had been prepared. In return, I was accountable to those who granted those privileges. I was required to obey legal and ethical expectations and never abuse the power entrusted to me. Just as the important steps of preparation and permission pertain to medicine (and other professions), they also relate to priesthood service. Those who hold the priesthood—Aaronic and Melchizedek—have authority to render priesthood service. As agents of the Lord, they have the right to perform sacred ordinances of the gospel. Keys authorize the performance of that service. A distinction also exists between priesthood authority and priesthood power. When ordained to an office in the priesthood, one is granted authority. But power comes from exercising that authority in righteousness.7 Thus, although priesthood holders have authority, they must prepare themselves to have power. That they do through making themselves personally worthy and through learning and practicing the duties and doctrines of the priesthood. Keys and authority of the priesthood can be traced through three periods of history: in ancient days, during the Lord’s mortal ministry, and in modern times. Period Three: Modern Times. The restoration of priesthood keys is one of the many miracles of this, the dispensation of the fulness of times.22 As the Prophet taught, “The keys have to be brought from heaven whenever the Gospel is sent.”23 In 1820 our Heavenly Father and His Son, Jesus Christ, appeared to the Prophet Joseph Smith. In May 1829 John the Baptist conferred the Aaronic Priesthood upon Joseph Smith and Oliver Cowdery.24 In so doing, he conferred “the keys of the ministering of angels, and of the gospel of repentance, and of baptism by immersion for the remission of sins.”25 Shortly thereafter the Prophet and his associate received the Melchizedek Priesthood under the hands of Peter, James, and John.26 Joseph Smith had keys to organize the Church, send missionaries, and ordain priesthood leaders. When hands are laid upon one’s head to be ordained or set apart, both the conveyor and the recipient of that priesthood authority bear obligations and accountability. Let me illustrate. Suppose you own keys to something of value in your life—a vehicle, a home, or a fine instrument. If you loan those keys to another with the intent that he or she use your property, you have certain obligations. You as the lender have a duty toward your borrower’s success. So you teach and train adequately to protect the user and, at the same time, safeguard your own valuable property. The receiver also has obligations. He or she must know applicable laws and obey them, take care of your property, and report back on how well he or she has used it. The same concepts apply to keys of the priesthood. Temple presidents, mission presidents, stake presidents, district presidents, bishops, branch presidents, and quorum presidents hold priesthood keys of presidency. Their keys control the power of their unit of the Church. That the mission of the Church be accomplished, those leaders not only call and release, but they also train and hold accountable those whom they call. Thus, members who receive priesthood ordinations or callings to serve in the Church have obligations of obedience and accountability. 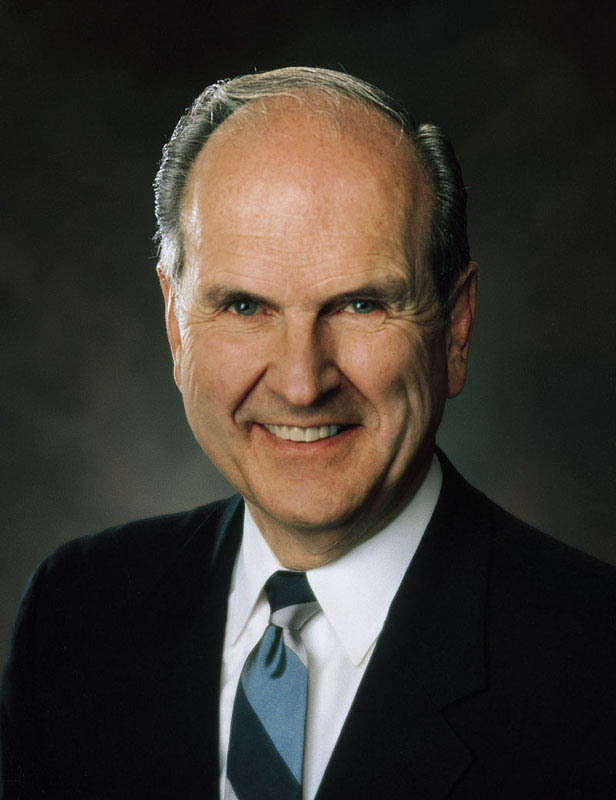 Every priesthood quorum has a president, whether it is a quorum of deacons, teachers, priests, elders, or high priests. Each president holds keys of authority. Quorum activities and opportunities for service are authorized by the president who holds those keys. Although a quorum president holds keys, his counselors do not. Auxiliary presidents do not hold keys. Counselors and auxiliary presidents serve on assignment from one holding keys who, in turn, has delegated authority for each of them to act. When one is released from his calling in the priesthood, if keys have been conferred, those keys are relinquished, to be given by proper authority to the new leader. When a bishop is released, for example, his priesthood ordination to the office of bishop remains, but his priesthood keys to serve as the bishop of the ward are conferred upon the new bishop. Those who receive the Melchizedek Priesthood are under solemn oath and covenant to “live by every word that proceedeth forth from the mouth of God.”34 By so doing, one becomes worthy to receive personal revelation. Each bearer of the holy priesthood should feel deeply grateful for that incomparable privilege. It is humbling to know that each of us was foreordained from the foundation of the world for the responsibility we now have.39 May we be true to the trust the Savior has given to those who bear His holy priesthood and hold its sacred keys. I pray that we may use them wisely and precisely as the Lord would have us do.